The U.S. Navy recently issued a $3 million task and delivery order to Mikros Systems Corp. for production, support and future development of the ADEPT Distance Support Sensor Suite (ADSSS) Condition Based Maintenance (CBM) system for the littoral combat ship (LCS) class. Using smart sensors, model-based prognostics and secure fault-tolerant networking, ADSSS provides CBM for mission-critical systems. 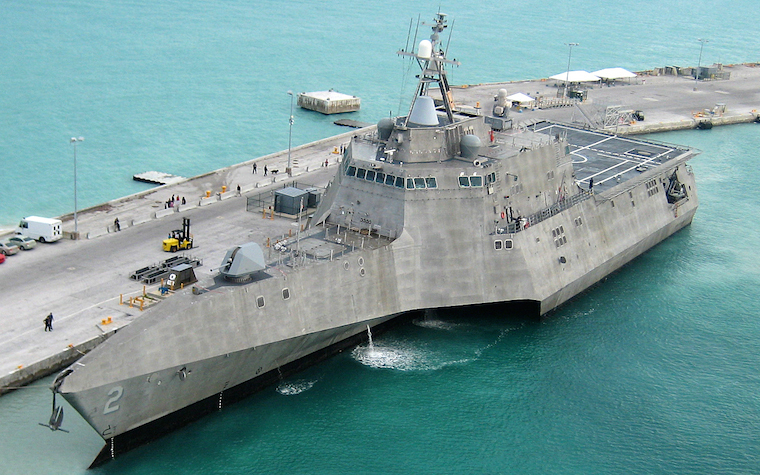 Of the Navy’s 28 LCS ships, eight are already supported by ADSSS, where the system connects with the ship's combat system sensor points, allowing ADSSS to continuously monitor and upload to the ship's onboard networks. "This award is the result of our ground-breaking technology and processes to advance condition-based maintenance for combat systems,” Mikros Systems President and CEO Tom Meaney said. “We are proud of our legacy of support in ensuring the readiness of U.S. Navy combat systems and we look forward to expanding the ADSSS technology to additional LCS and U.S. Naval platforms." The $3 million task and delivery order is the first to come to Mikros through the company’s $48 million indefinite delivery, indefinite quantity (IDIQ) contract with the Navy, which was awarded in September. In addition to LCS class ships, the contract includes the AEGIS class, which Mikros Systems already supports, as well as others. Want to get notified whenever we write about Mikros Systems Corporation ? Next time we write about Mikros Systems Corporation, we'll email you a link to the story. You may edit your settings or unsubscribe at any time.